theme of the conference as "Do IT! Transform Learning, Shape the Future"
http://www.ictlt.com/call-for-papers.php click this on the link page. Commercial Content NIL, it is all free for the purpose of benefiting humankind at zero cost. The third Masterplan for ICT (MOE, 2009b) teacher-lead initiative using free tools such as Open Source Physics (Christian, 2010) seeks to illustrate meaningful integration of ICT in physics education through student centred activities, for promoting self-directed learning (Tan, Shanti, Tan, & Cheah, 2011) supported by effective processes for social collaborative learning (Chai, Lim, So, & Cheah, 2011). The Open Source Physics community used Easy Java Simulation (Esquembre, 2004) has created hundreds of simulations that could be finer customized (Wee & Mak, 2009) to the Singapore syllabus for more targeted productive activities. We will share the collision cart simulation with RVHS (Lee, Wee, Cheng, & Wong, 2010) and 4 gravitational simulations with Yishun JC. These simulations we argue are appropriate laboratory environments that can provide the experience and context, essential for deepening student’s conceptual understanding of Physics through student centered guided inquiry (Kirschner, Sweller, & Clark, 2006) approach supported by social discourse. Panel table with panellist microphones (for Panel Discussions only)Envision: Visionary ICT leadership that provides conditions in leading change and professional development initiatives to bring about pedagogical changes. Engage: Teaching & Learning in the Digital Age that focuses on designing, implementing & evaluating ICT-enriched learning experiences. I also ended up as a reviewer. Thank you once again for your kind assistance in reviewing the proposals for the International Conference on Teaching and Learning with Technology 2012 (iCTLT 2012). Your review and recommendations are crucial in helping us select the best proposals for the conference. We appreciate your contributions and would like to invite you to join us at the conference. 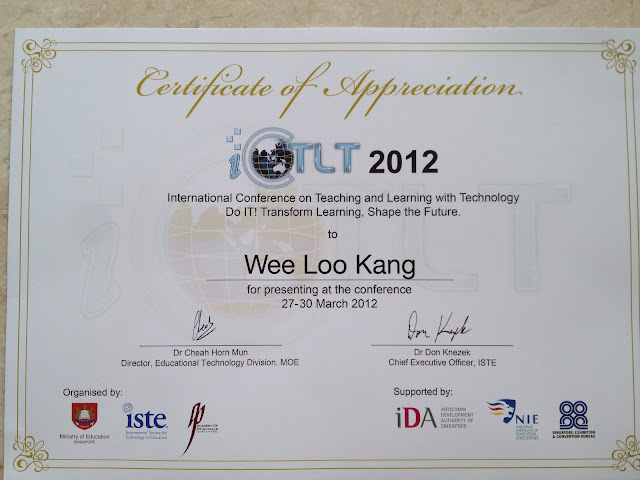 Thank you for your proposal submission to the International Conference on Teaching and Learning with Technology 2012 (iCTLT 2012). We are pleased to inform you that your proposal has been accepted. Please submit your presentation slides by 30 December 2011 for online publication and include any accompanying notes. The total file size should not exceed 6MB. We will provide an URL at a later part and send another email to inform you for the uploading of presentation slides. Upon received, kindly copy and paste the following URL into a new browser and upload your presentation slides and accompanying notes. Please note that all presenters must register and pay to attend the conference by 30 December 2011. You may proceed to login athttp://www.ictlt.com/. The registration fee will not be refunded should the presenter fail to turn up for the conference. 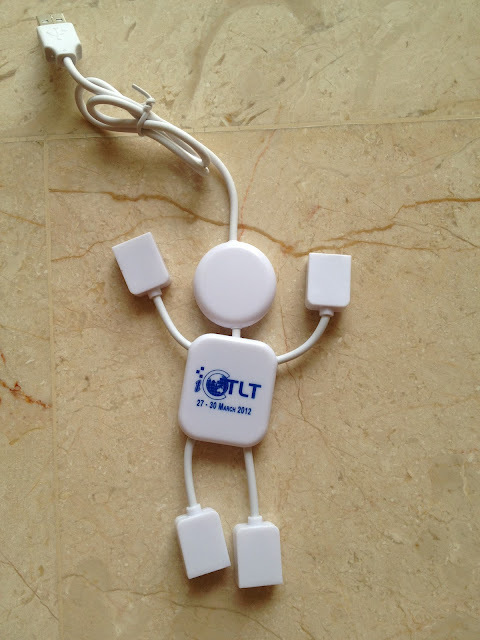 We look forward to seeing you at iCTLT 2012. This is an auto generated email. Please do not reply. Please note that your registration is confirmed only upon receipt of full payment for the Conference. Thank you for your proposal submission to the International Conference on Teaching and Learning with Technology 2012 (iCTLT 2012). We congratulate you that your proposal has been accepted. Please submit your presentation slides by 30 December 2011 for online publication and include any accompanying notes. The total file size should not exceed 6MB. Kindly copy and paste the following URL into a new browser and upload your presentation slides and accompanying notes. Looks this i cannot pay for this. 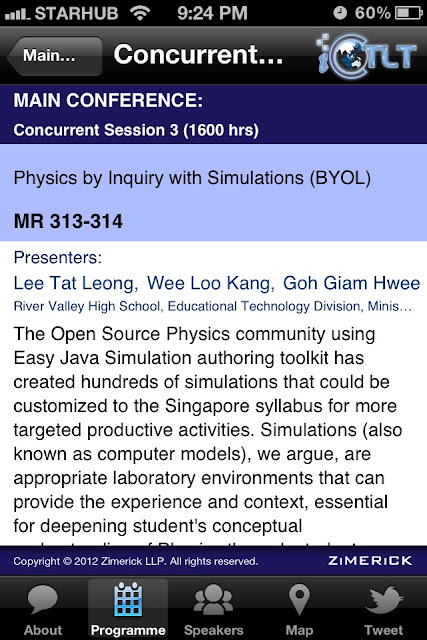 The Open Source Physics community used Easy Java Simulation authoring toolkit has created hundreds of simulations that could be finer customized to the Singapore syllabus for more targeted productive activities. Simulations, also known as computer models, we argue are appropriate laboratory environments that can provide the experience and context, essential for deepening student’s conceptual understanding of Physics through student centered guided inquiry approach. We have customized to date about sixty-five computer models of which we will share five; one collision cart simulation with RVHS and four gravitational simulations with Yishun JC appropriate for Advanced level Physics. 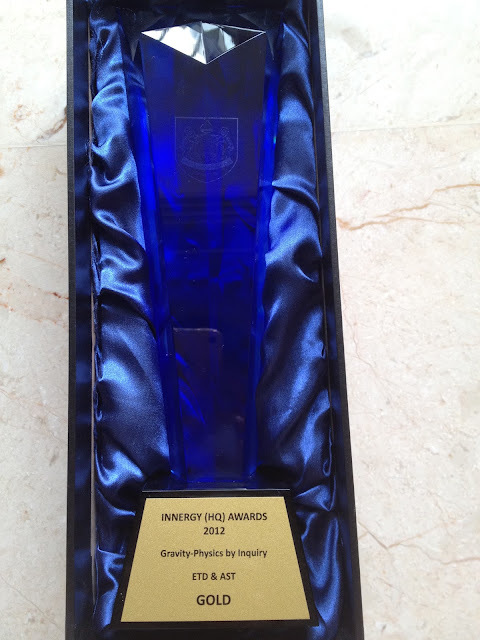 We also will highlight Ordinary Level Physics computer models that we hope secondary school teachers will find useful. We have secured eduLab 2012-2013 project funding from National Research Fund (NRF) and Ministry of Education (MOE) and we hope teachers from other schools would continue to network-learn together with us. All computer models shared are free for the world to use, download, remix under creative commons attribution license at the link(s) below. In case we would need to contact one other, your team may reach me at my mobile number 9667 1267. Do leave with me your contact numbers too.We look forward to seeing you at iCTLT 2012. Meanwhile, your team can start the conference experience and ‘twitter’ us at #ictlt2012. So let’s Do IT! Transform Learning, Shape the Future.